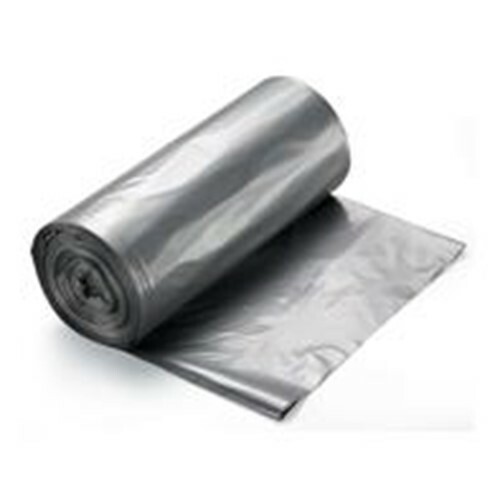 Linear Low Density LLDPE Can Liners When you've got a heavy load, you need a bag that will stand up to the test. DuraTuff bags pass with flying colors no leaks, no tears, and no punctures. Just superior performance that's suited to a variety of industrial applications. The result: you get better performance at a lower cost. DuraTuff bags offer dependable performance and are a great, all- purpose solution for industrial, commercial, and institutional applications. Ideal for everything from paper and general refuse, to heavy or sharp objects. Features Ideal when you want the feel of a thick, strong bag. Made with 100% prime virgin resins using proprietary formulas. Superior strength, puncture and tear resistance. Seamless tubular construction. Leak-proof star seal. Available in gauges from 0.34 to 2.00 MIL. Coreless rolls for ease of use and storage.